Jurgen Klopp admits Trent Alexander-Arnold is recovering better than expected from the ankle injury he sustained in last Tuesday’s Champions League win over Napoli. The Liverpool right-back hobbled off in the 90th minute of the 1-0 group stage decider and was consequently sidelined for Sunday’s 3-1 victory against Manchester United. Confirmation of his injury added to a torrid spell of fitness issues for the Reds, following on from Joe Gomez’s fractured leg and Joel Matip’s fractured collarbone. Though his layoff looks likely to be shorter than first feared, the 20-year-old is also set to miss Friday’s Premier League clash away to Wolverhampton Wanderers. 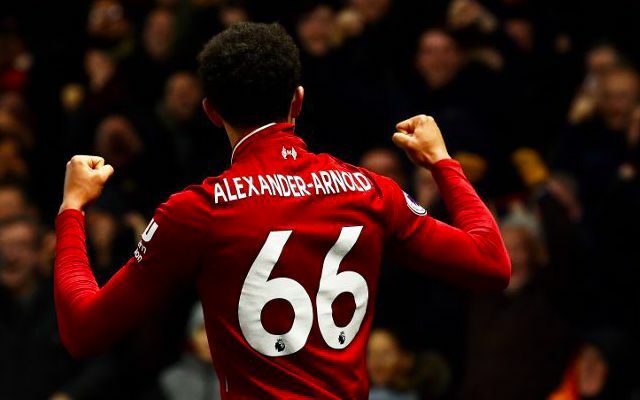 A period out of action follows on from a superb November from Alexander-Arnold, for which he was named the Standard Chartered Player of the Month thanks to two clean sheets, an assist and a stunning free-kick goal against Watford. Nathaniel Clyne’s return to fitness could not have arrived at a more perfect time, with the Englishman stepping in for his first league start of the season at the weekend. It could well have been James Milner lining up in a less familiar full-back role had the vice captain not suffered a late muscle issue. An assured and composed performance from Clyne will have been a welcomed boost to Klopp’s selection ahead of a key festive schedule. With still just two senior appearances to his name this campaign, however, it remains to be seen whether the 27-year-old will retain his spot in the team at Molineux later this week.